Isolation will literally kill you. Yet many lawyers don’t even realize they are isolated. They also don’t realize there are many forms of isolation that are insidious and destructive. There is professional, personal and social isolation and you may not even understand you are isolated. Isolation is a mental health risk. Today we dig in to raise awareness in the legal community. These are very real and serious issues that have long term impact on your physical and mental health. And if this resonates with you at all, please seek out help. There are ways to manage this risk in a healthy and productive way. Listen and learn. The audio is about 37 minutes. Listen directly below. For over 20 years, Karen Caffrey, JD, LPC, has provided counseling to lawyers in her private psychotherapy practice. She helps people recover from anxiety and depression, stress, trauma and addictions, and helps them learn how to live more open-hearted, satisfying lives. Karen is also a mental health provider for the Connecticut lawyer’s assistance program. Prior to her career as a psychotherapist, she practiced law for a decade in a Fortune 100 corporation and a private law firm. She understands that even highly successful, capable people can face life challenges for which they need help. Karen writes “Adoptees Ask…“, a column at the Door Opener Magazine Online, and is a grassroots advocate for the civil rights of adult adoptees. 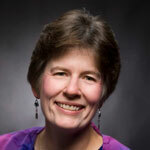 And she writes a column here on the Solo Practice University® Blog. Listen to more guest lectures from Solo Practice University® and get notified when new lectures are published. This entry was posted in Audio, Guest Lectures, Karen Caffrey, Solo & Small Firm Practice, Work/Life and tagged Guest Lectures, Isolation, Karen Caffrey. Bookmark the permalink. ← Interested in Teaching? We’re Growing! This was eye-opening. Thank you so much for bringing to my attention how much I have been isolating myself and working so many hours thinking I would get caught up someday. I just need to work more efficiently and save time for some people and fun in my life.